I was looking for sharks, not Snarks, and pursuing them with cameras and snorkels, but my high-tech hunting aids were of no more use to me than thimbles and forks were to Carroll's unlucky Bellman and his Snark hunting crew. 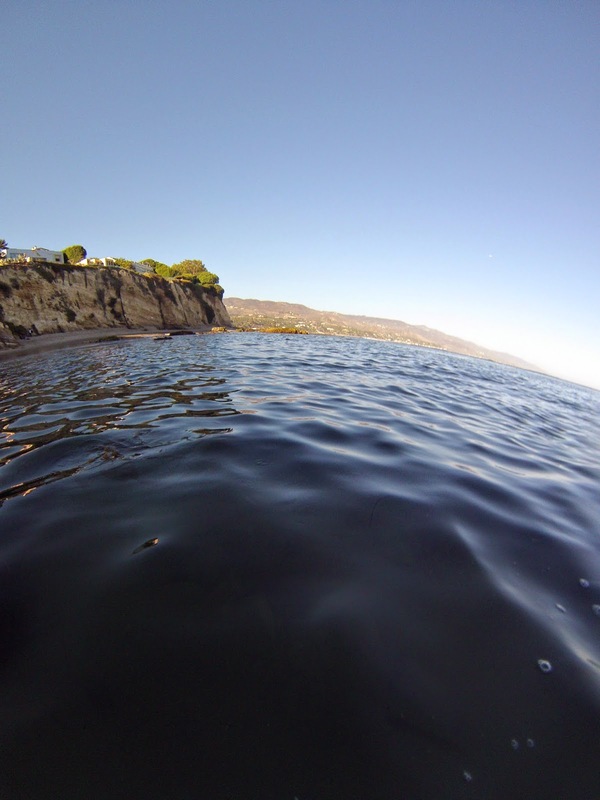 One morning a little more than a week ago, the shallow water at Point Dume was full of leopard sharks, sleek, swift, dappled shadows, weaving amongst the swimmers' ankles. 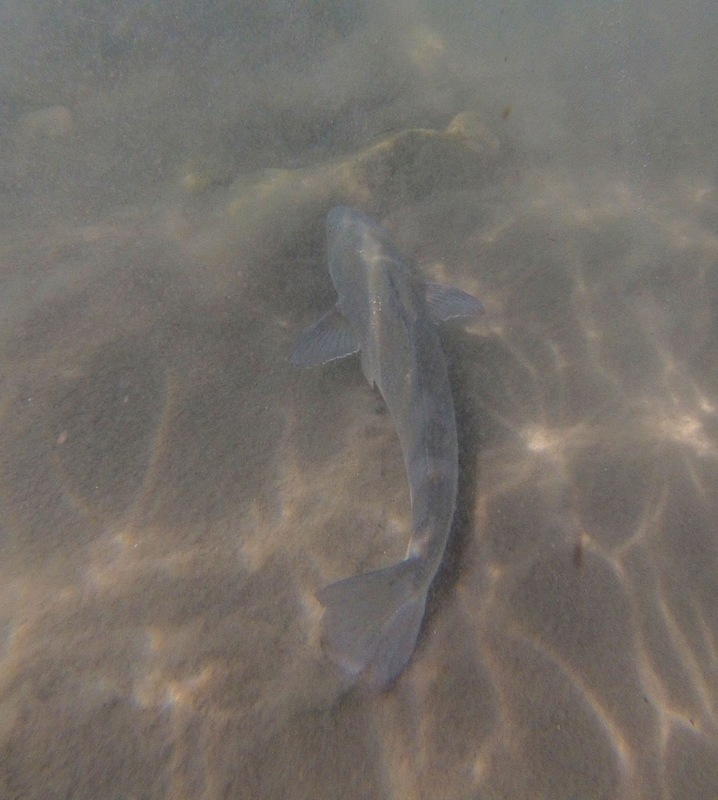 They were joined by their smaller cousins the smooth-hound sharks and by the aptly, if inelegantly, named shovel-nosed guitar fish, and there were dozens of them. 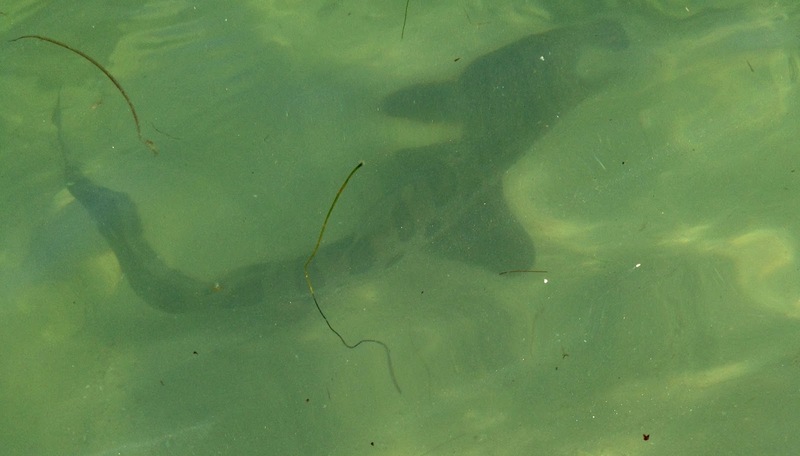 It's a sure sign that autumn has arrived when the small sharks and rays begin to aggregate in the shallow warm water, but you only get a good look at them when conditions are calm and the water is clear. 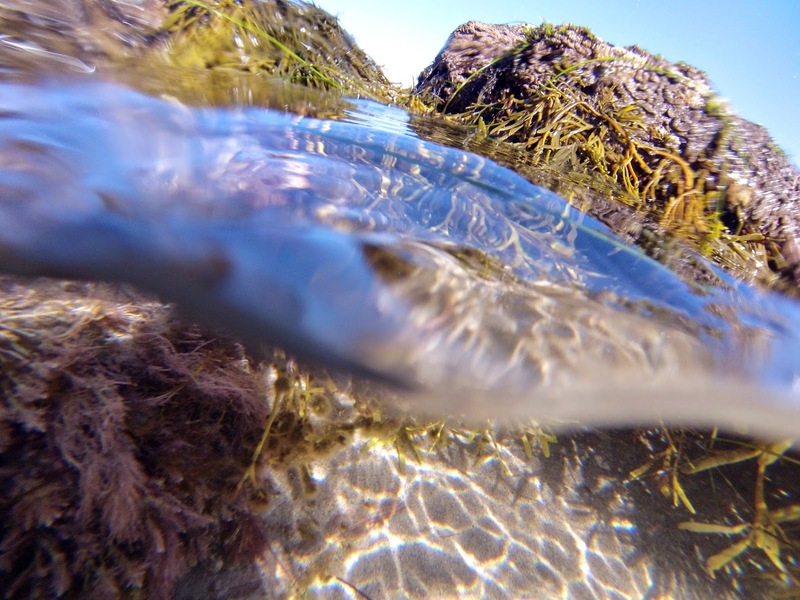 Conditions were perfect last week, as clear as glass and as warm as bathwater. 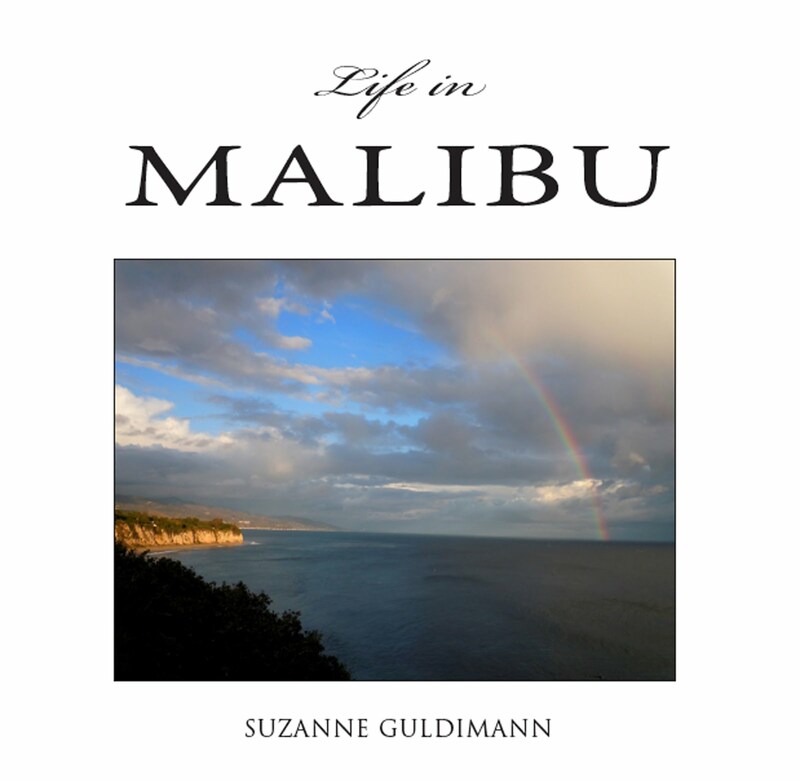 I wrote about the phenomenon for the Malibu Surfside News, but the sharks proved elusive and, while I prowled the shallows every day for a week, GoPro camera in hand, I couldn't get a good photo for the article. 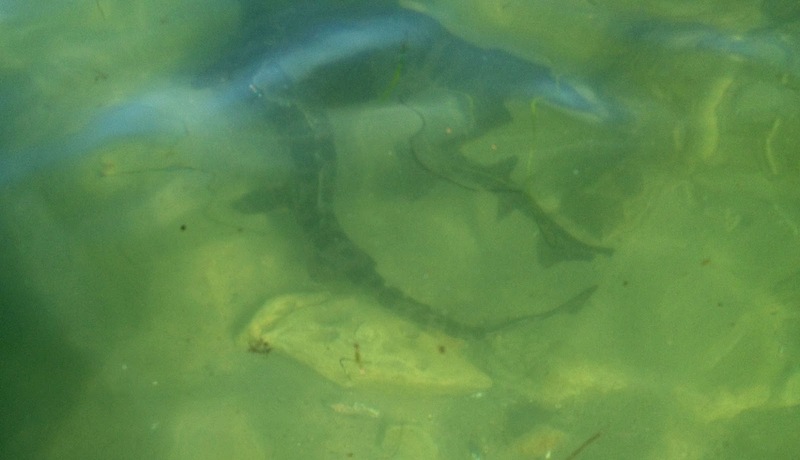 The sharks remained as elusive as, well, Snarks. "Just the place for a Snark!" the Bellman cries repeatedly in Carroll's Hunting of the Snark. It was, too. For sharks, if not Snarks. Or it would have been if there were any sharks to see. 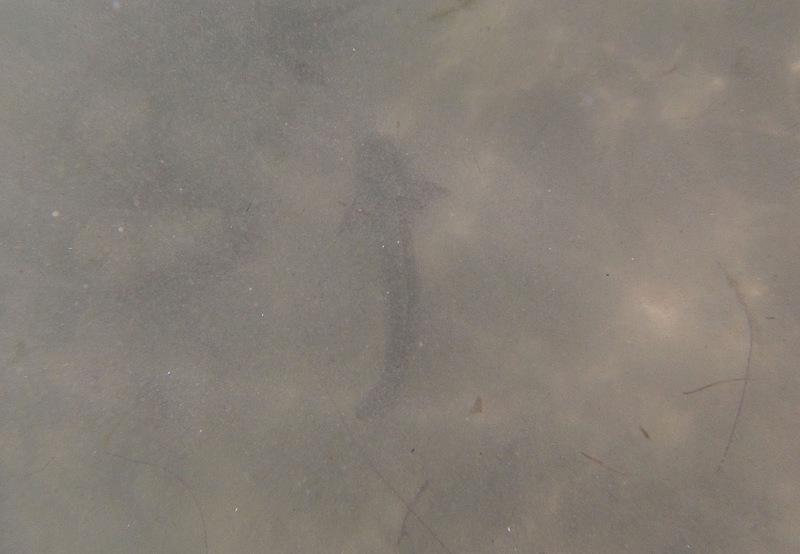 Leopard sharks congregate in warm, shallow water like this Point Dume cove in autumn, where they give birth to their young and feast on sand crabs. Although leopard sharks looks every inch a shark and can grow to more than five feet in length, they are harmless to humans, and eat primarily crabs, worms, clams and small fish like anchovies and grunion. 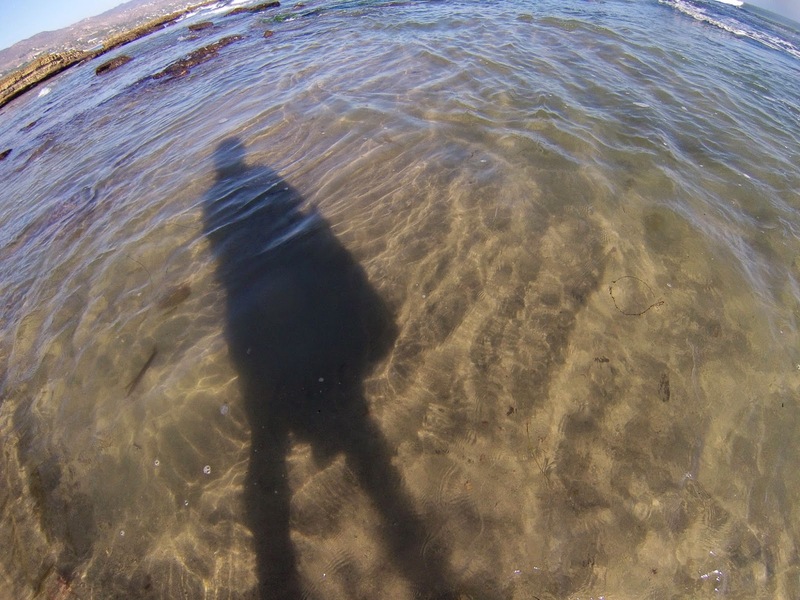 I started my search in the shallow water near the reefs, traveling along the sandbars and around the new trenches of rocks revealed by the recent series of big waves. Those waves have removed large amounts of sand and completely changed the underwater landscape, but the big outcroppings of volcanic breccia—a tough, erosion-resistant stone, form fairly permanent landmarks. Between these reefs are areas that can shift swiftly between sand and cobble, depending on conditions. 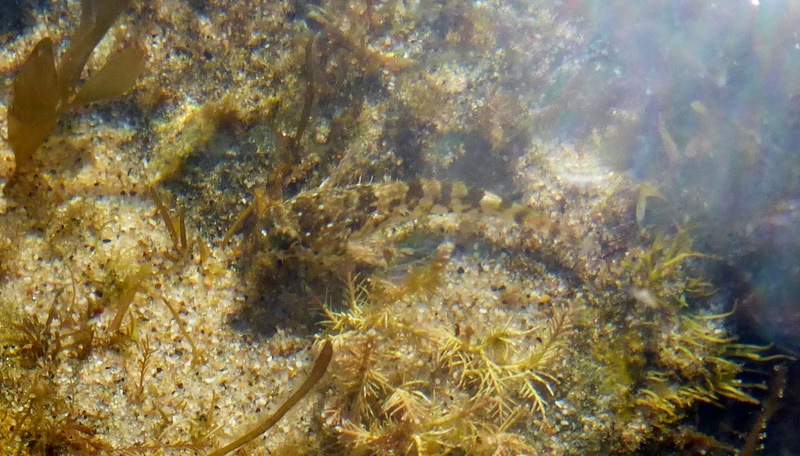 I saw plenty of sculpin, despite the fact that the sculpin's goal in life is not to be seen. This is a tiny tidepool sculpin, Oligocottus maculosus. 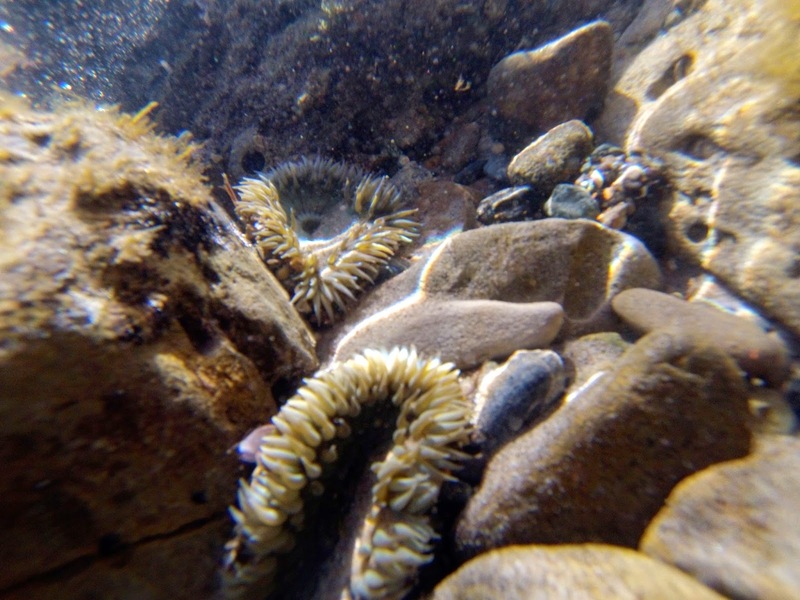 I also saw sea anemones, which have already begun to colonize the barren stretches of rocks and cobbles revealed by the recent wave action. 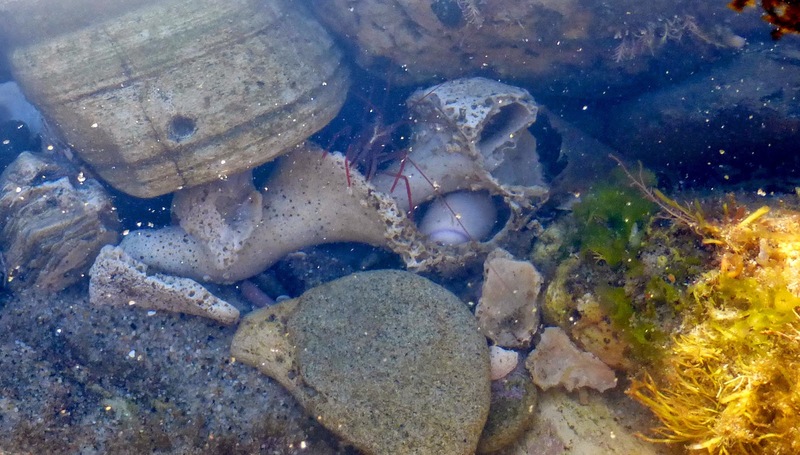 Here's a small secretive shrimp, hiding in the spiral skeleton of a sea shell. But still no sign of leopard sharks. A shark! Is that a shark? A shark! (or at least the tail of a shark).